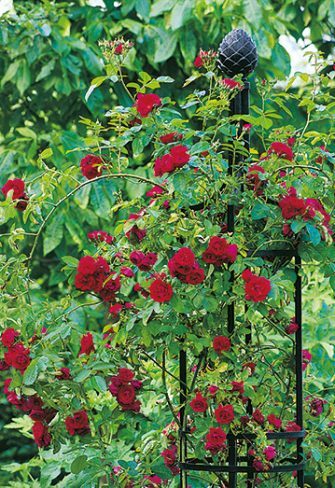 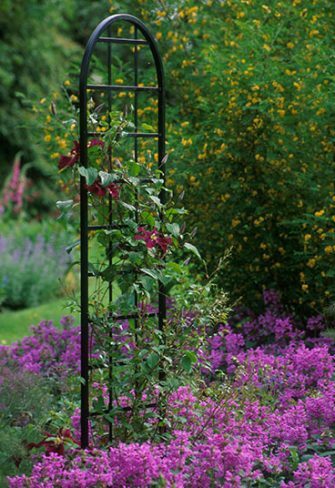 Even with limited space, you can add a dimension of towering fragrance and colour to your garden by training climbing plants to grow on support frames. 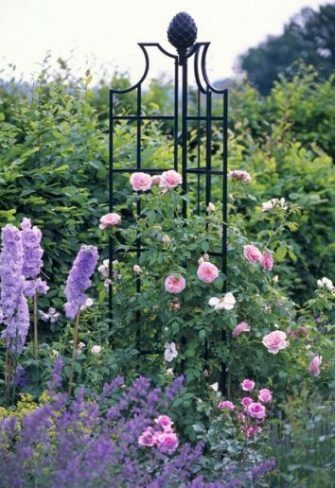 Some frames – obelisks, pillars, pyramids or freestanding trellises – not only provide support for your plants, but also create a striking focal point, an exclamation mark, as it were, to enhance your entire garden. 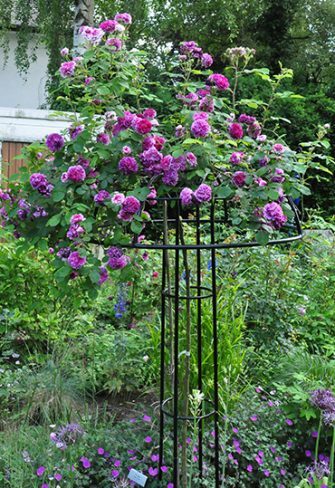 Over the last 20 years, Classic Garden Elements has created an impressive range of beautiful supports. 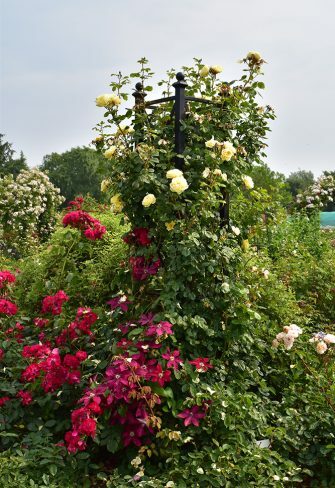 They include the round Obelisk I, the tripterous Obelisk II, the classic Rose Pyramid Malmaison, the distinctive Charleston Rose Pillar, the Eltville Rose Pillars, the wrought-iron rose umbrellas inspired by Monet’s garden in Giverny, the sturdy Beekman Frame with its attractive diamond lattice, the Burlington Frame with its clever anchoring system, and the delightfully curved Exedra Frame. 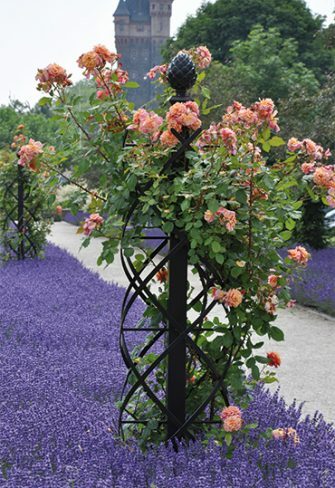 When positioned in the right place, these supports stand out as focal points and complement the other plants in your garden. 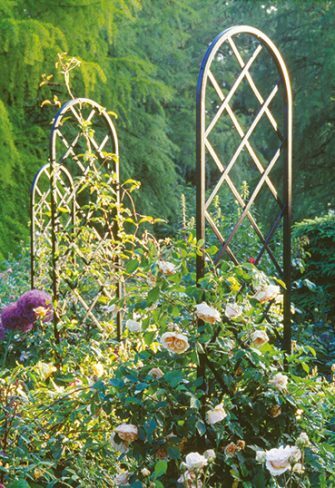 Classic Garden Elements steel support frames come in great variety. 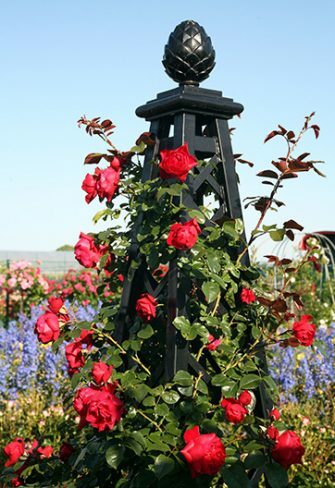 What they have in common is outstanding design and high-quality craftsmanship. 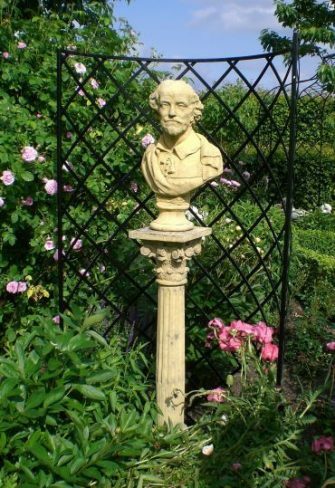 Why not use our columns and pillars in your garden – and see for yourself how superbly your roses can perform in the third dimension!